WESTFORD, MA. September 12, 2016 –– Tyco Security Products is offering HID Mobile Access iCLASS SE and multiCLASS SE Mobile-Enabled Readers with optional Open Supervised Device Protocol (OSDP) for use with Software House C•CURE 9000 v.2.50 event management platform. This integration ensures that customers have access to the newest breed of access control readers available in the market today, enabling users the ability to use a secure smartphone credential. The integration between Software House C•CURE 9000 v.2.50 and the mobile enabled readers from HID provides customers with more choices on the type of reader they can deploy. Users can open a door via their smartphone by close-proximity tapping or by using HID’s patented “twist and go” gesture technology for longer-range distances. 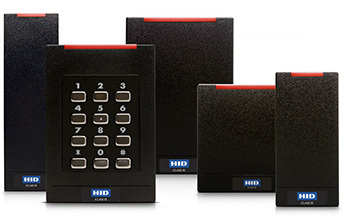 The HID SE platform readers allow secure access to a door or gate with a mobile device using either the iOS and Android operating systems. For areas that require a high level of security authentication, the readers are enabled with OSDP v2.1.6. This non-proprietary specification defines the communication protocol between physical access control systems, such as reader-to-panel communications. Both the iCLASS SE and multiCLASS SE readers support various technologies, including iCLASS Seos, standard iCLASS, iCLASS SE, MIFARE, MIFARE DESFire and HID Prox. Multi-layer security is provided on the iCLASS SE platform through its Security Identity Object (SIO) model, which ensures tamper-resistant protection of key and cryptographic operations. For more information on the integrations offered with C•CURE 9000 and the full Software House portfolio of solutions, visit Software House, www.swhouse.com. Software House security and event management systems are part of the Security Products business unit of Tyco, the world’s largest pure-play fire protection and security company. Software House’s innovative C•CURE software portfolio combines with a suite of reliable controllers to provide the most powerful security and event management in the industry. Add an unsurpassed integration platform that allows customers to integrate seamlessly with critical business applications, and it’s easy to see why Software House solutions are ideal for security-critical applications. For more information about Software House products, visit www.swhouse.com. HID Global is the trusted source for innovative products, services, solutions, and know-how related to the creation, management, and use of secure identities for millions of customers around the world. The company’s served markets include physical and logical access control, including strong authentication and credential management; card printing and personalization; visitor management systems; highly secure government and citizen ID; and identification RFID technologies used in animal ID and industry and logistics applications. The company’s primary brands include ActivID®, EasyLobby®, FARGO®, IdenTrust®, LaserCard®, Lumidigm®, Quantum Secure®, and HID®. Headquartered in Austin, Texas, HID Global has over 2,200 employees worldwide and operates international offices that support more than 100 countries. HID Global® is an ASSA ABLOY Group brand. For more information, visit www.hidglobal.com.